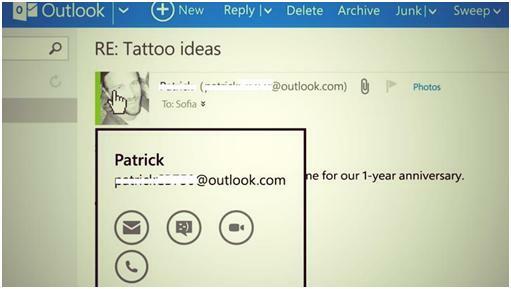 There is another milestone added in the worldwide acclaimed emailing platform application, Outlook. From now onwards Outlook users can interact with the worldwide using chat messenger “Skype” without switching off from their inbox. 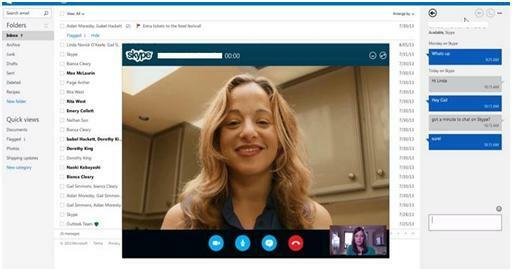 The information is confirmed on last Tuesday, when Skype marketing executive Karen Tong announced about the Skype and Outlook integration. Before that it was available only in few countries (U.S, U.K, Germany and other four nations) who were involved in the initial release. In-order to enable Outlook Skype integration in an account, user has to download and install the required plug-in. Using this feature user can make free voice and video calls also able to send instant messages while remaining on call. 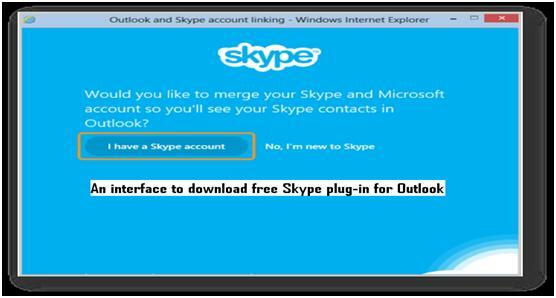 The plug-in can be downloaded free from the site of Skype; here is the reference – http://www.skype.com/en/features/skype-for-outlook/ ; FAQs are also available to tackle various issues of the user. In-order to access the feature user must click Messaging icon at the top right corner of the interface. However in case the Outlook and Skype accounts are different then user can import the Skype contacts into MS Outlook. The option of starting video chat can be done in various ways, like if user wants to Skype a particular person he can straight away click on chat button. User can type the name of the person in the section of “Start New Conversation” and then choose video or voice call buttons. Another way is, if the user is already engaged in IM conversation and also wants to converse using Skype, then click on Skype video or audio call button without halting ongoing conversation. 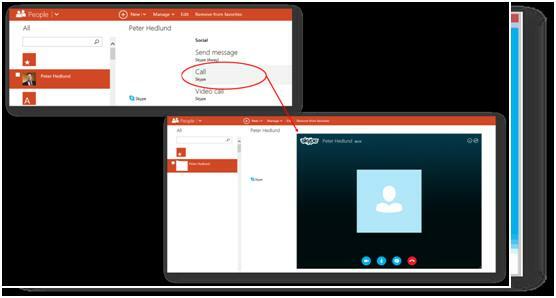 While reading an email if user wants to Skype the person, by just moving the cursor over the image of the specific person contacts details appears in which user can choose an option to chat or make video calls using Skype. In the latest version more advance feature is included like full HD video calling facility. But all the features will work when the person is listed in Outlook.com as a Skype contact. However on the basis of the response of few users, issue is circulated which defines that the call continues to ring after pick-up while using Outlook.com plug-in and Skype on the desktop at the same time. But the latest update from the Skype team is happy to announce that the problem is resolved in the new version. Interacting face to face with clients and business personals will surly enhance the aspect of doing business over the principle of globalization. It surly opens the path of more opportunity which will allow users to take their business to new level. Including the video conversation in business will save the time and money of both. It also makes the business process to flow without any delay as it reduces the un-necessary formalities like waiting for the response of email or messages. It is incredible to imagine the timeline of the development of Outlook and we are quite sure that in coming future more of such kind of features will be added to facilitate the users. It’s truly interesting to make Skype calls with outlook. I guess it is the awesome update for techie guys. Thanks for sharing the update. Keep blogging! Thanks Chirag for the valuable feedback.